Katheryn Marshall is just an everyday Cincinnati housewife and mother-until she purchases an ancient strand of lapis lazuli beads on holiday in Crete. That’s the start of a two-year obsession with ancient Minoan civilization, culminating in an unfinished novel about the culture’s greatest mystery of love and desertion. But as she delves deeper into the myth, Katheryn finds holes in the story that she refuses to accept, preventing her from completing the book. And what happens next could rewrite history-even as it stretches her marriage to the breaking point. Now, against the vehement wishes of all those around her, Katheryn is about to drop everything to embark on a fact-finding mission that will take her to a deserted island in the middle of the Mediterranean. Along for the ride is Jake Deupree, a renowned psychic who helps archeologists locate important excavations. But as they hone in on their goal, it’s Katheryn who experiences odd premonitions. And neither of them is prepared for what their mission will uncover-and what it will uncover about themselves. 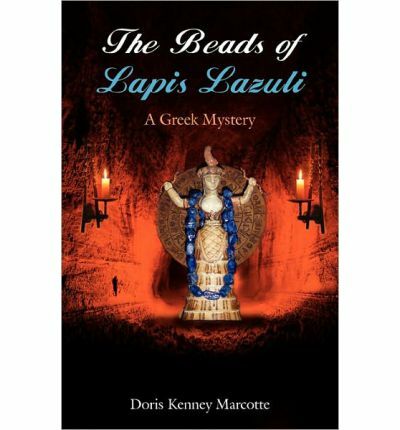 The Beads of Lapis Lazuli is part mystery, part psychological drama as it mixes history, obsession, and the paranormal for an exhilarating read. Bridging time and space, it is about seeking truth and taking control of our lives. And it is about discovering the unknown strength within us-that housewives can also be heroes and adventurers-as we write our own personal stories. What do you get when you mix an everyday housewife who is an avid sailor, a surprise trip to Crete to avoid bad sailing weather and a Lapis Lazuli necklace? You have all the ingredients necessary for an adventure worthy of Indiana Jones or Laura Croft. Katheryn Marshal has always been interested in the Minoan civilization. Her interests have driven her to write a book answering the questions that remain about the Myth of Ariadne and Theseus. Katheryn has been planning a return trip to Crete to look for more information but it seems that everyone around her is doing their best to keep her from going. Finally she just buys her ticket and plans to leave on her own. She had read a short article in the paper about a man who helped a group of French Archeologists. He was a well known psychic who helped them select a new dig site. His success rate was unbelievable. She heads off to meet Jake Dupree and see if he can help her decide where to look and which island is the actual site. Katheryn and Jake head off to Crete and from there, her adventure takes on a life of its own. I love the stories of Ancient Greece and Rome. The pantheons of Gods and Goddesses, the heroes and heroines entertained me as a child and still hold me enthralled to this day. Ms. Marcotte has produced a story of ancient love, paranormal adventure, history of a lost culture and an extremely must read book. FTC Full Disclosure: I received this book from the author who only asked for a fair review. After reading your review Nora, this is one book that although not a cozy…I must read! Thanks Ellen, I try very hard to do a mix of various genres. Then I choose the ones that look the most interesting and enjoyable to read.